Want to order in larger quantities than available? Want to commission invitations or a special message inside? No problem! 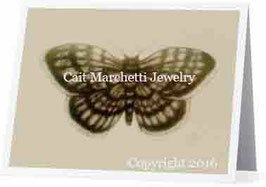 For a quote, please inquire by sending an email with the quantity you'd like to purchase at CaitMarchettiJewelry@gmail.com. 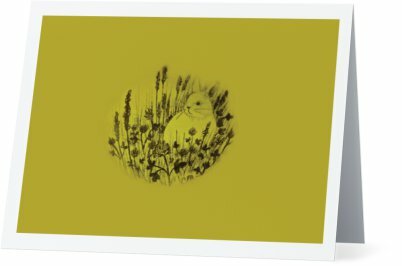 Illustrations of New England flora and fauna on cards with blank interiors that allow you to write a personalized message for any occasion, these make great cards to have stowed away for dozens of occasions! This Honeybee card is perfect for birthdays, and just begs to have "Happy Bee-Day!" written inside. These Cait Marchetti Jewelry greeting cards are a great way to complete a gift for someone, especially if it is made by the same designer who created the jewelry! Make a gift complete with the addition of a matching greeting card, keep one for yourself, and send one to a friend just because! 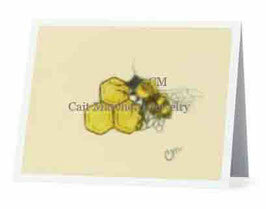 Sets of 3, 5 or more available under "Greeting Card Set" for discounted rates. Blank inside with the logo and website on the back. Packaged in a clear sleeve with an envelope provided. 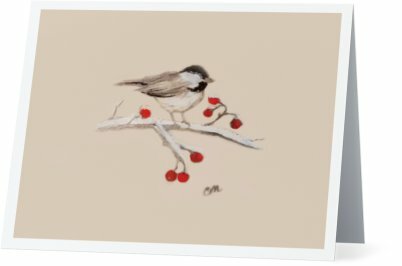 Illustrations of New England flora and fauna on cards with blank interiors that allow you to write a personalized message for any occasion, these make great cards to have stowed away for dozens of occasions! This Cardinals "Lovebirds" card is fitting for many occasions; for your lovebird on Valentine's Day, and it can also serve as a "thinking of you" or sympathy card, as Cardinals are thought to be loved ones who have passed away come to visit. 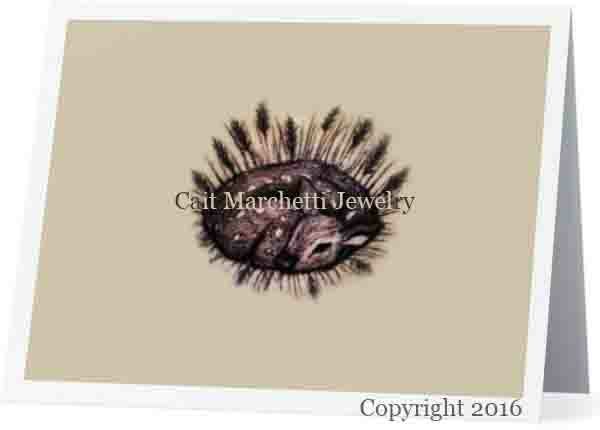 These Cait Marchetti Jewelry greeting cards are a great way to complete a gift for someone, especially if it is made by the same designer who created the jewelry! Make a gift complete with the addition of a matching greeting card, keep one for yourself, and send one to a friend just because! 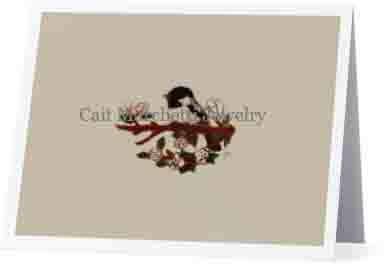 Sets of 3, 5 or more available under "Greeting Card Set" for discounted rates. Illustrations of New England flora and fauna on cards with blank interiors that allow you to write a personalized message for any occasion, these make great cards to have stowed away for dozens of occasions! This Poppy card is perfect for giving to your loved ones for Valentine's Day, paired with a heartfelt message inside. 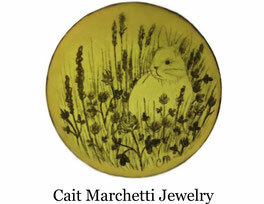 These Cait Marchetti Jewelry greeting cards are a great way to complete a gift for someone, especially if it is made by the same designer who created the jewelry! Make a gift complete with the addition of a matching greeting card, keep one for yourself, and send one to a friend just because! Sets of 3, 5 or more available under "Greeting Card Set" for discounted rates. Illustrations of New England flora and fauna on cards with blank interiors that allow you to write a personalized message for any occasion, these make great cards to have stowed away for dozens of occasions! 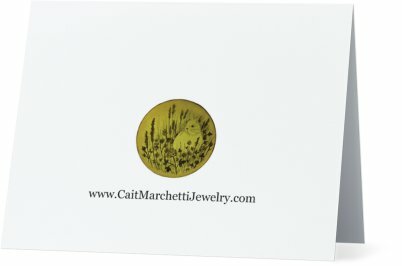 These Cait Marchetti Jewelry greeting cards are a great way to complete a gift for someone, especially if it is made by the same designer who created the jewelry! Make a gift complete with the addition of a matching greeting card, keep one for yourself, and send one to a friend just because! Sets of 3, 5 or more available under "Greeting Card Set" for discounted rates. 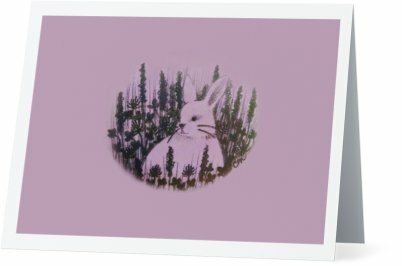 Illustrations of New England flora and fauna on cards with blank interiors that allow you to write a personalized message for any occasion, these make great cards to have stowed away for dozens of occasions! This pretty pink Peony card is perfect for giving your sweetheart on Valentine's Day, Mother's Day, or just because. 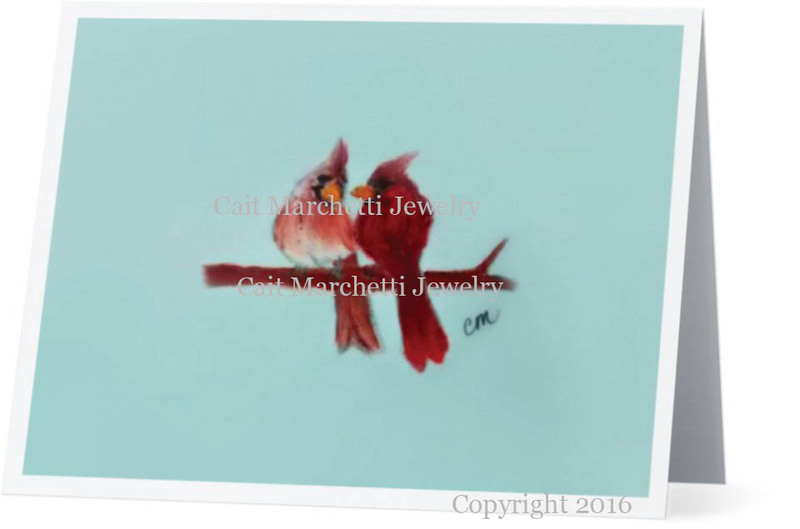 These Cait Marchetti Jewelry greeting cards are a great way to complete a gift for someone, especially if it is made by the same designer who created the jewelry! Make a gift complete with the addition of a matching greeting card, keep one for yourself, and send one to a friend just because! 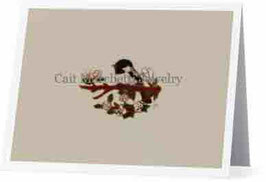 Sets of 3, 5 or more available under "Greeting Card Set" for discounted rates. 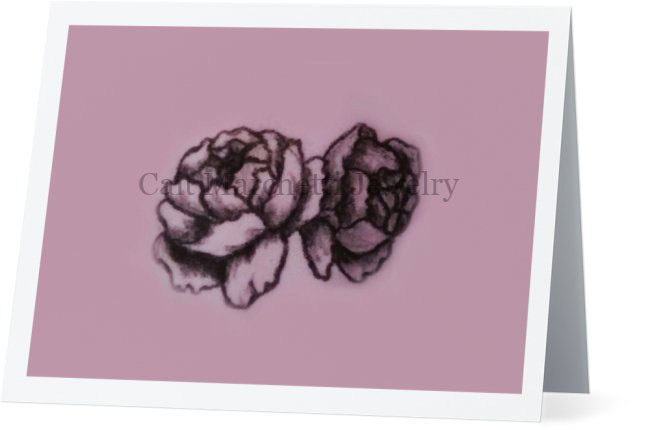 Illustrations of New England flora and fauna on cards with blank interiors that allow you to write a personalized message for any occasion, these make great cards to have stowed away for dozens of occasions! Send them for Valentine's Day, Easter, Mother's Day, Birthdays, Sympathy cards, Thank you Notes, Invitations, or just because. 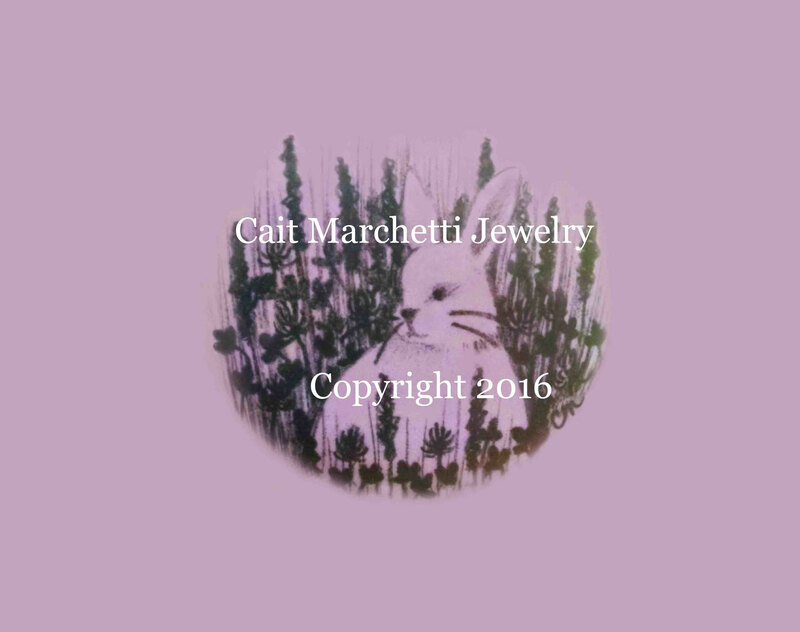 These Cait Marchetti Jewelry greeting cards are a great way to complete a gift for someone, especially if it is made by the same designer who created the jewelry! Make a gift complete with the addition of a matching greeting card, keep one for yourself, and send one to a friend just because! Purchase a set of 3, 5, 6 or one of each design! Set of three assorted cards with original designs individually priced at $5.00 each, this set of 3 is usually $15.00, only $10.00. Please write a note at checkout when purchasing to inquire for specific designs to be sent. Love them all? No problem! 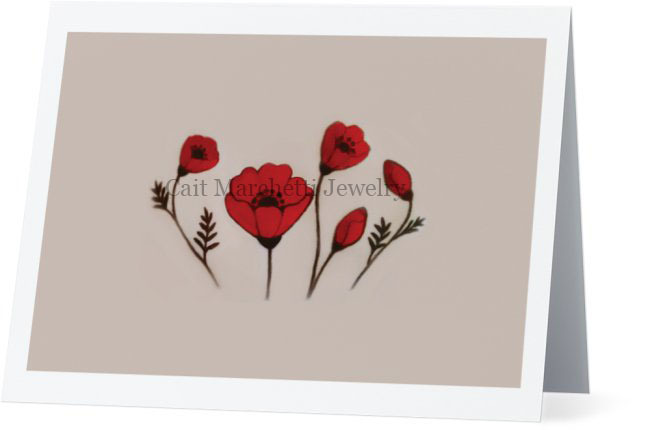 Be covered all year long with a beautiful selection of greeting cards for multiple occasions. To collect one of each, select "Complete Set- Best Value!" including all designs pictured here... and more! (17 designs total, for $45). From L to R: Cardinals, Poppy, Bunny on Lichen Green, Bunny on Pink, Honeybee, Petal Pink Peony, Summer Chickadee, Dragonfly, Moth, Doe A Deer, Winter Chickadee, (and last image is the backside view of all cards).